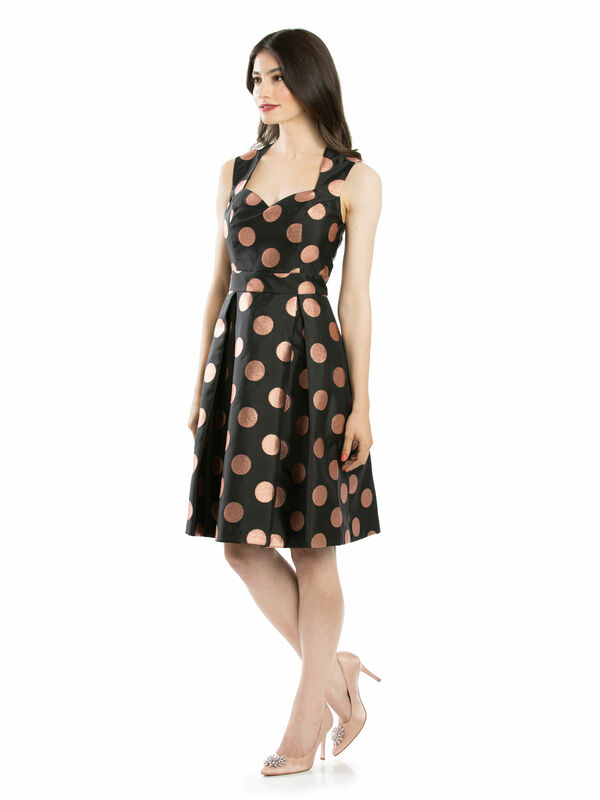 Mia Dress https://www.review-australia.com/global/mia-dress-black/RE19DR325.REBLK068.html Rose gold marks the spot in this delightful party dress. 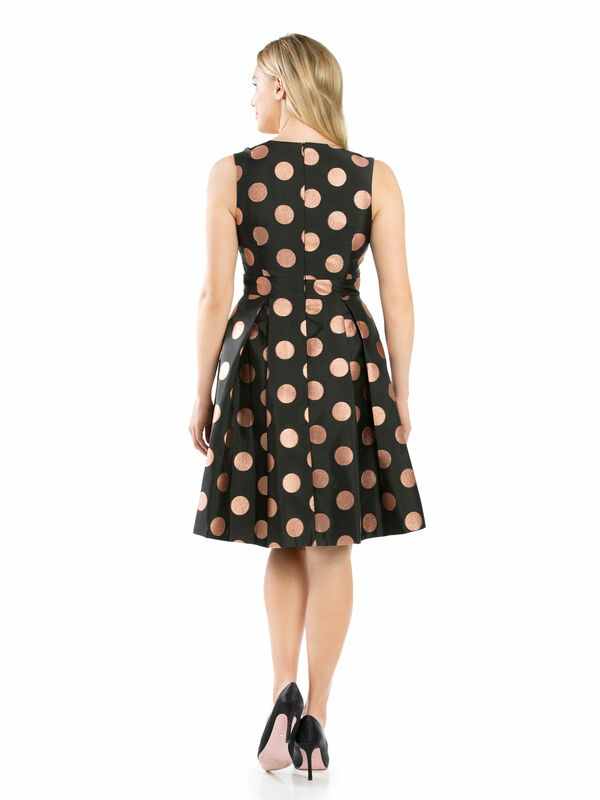 Structured in a fit and flare bombshell silhouette, the dress is crafted in a soft fabrication with metallic polka dot detailing. 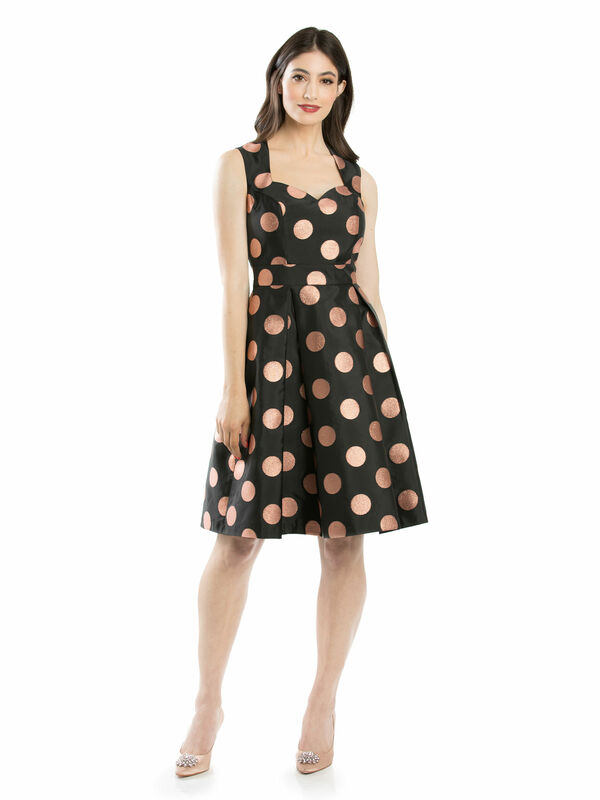 It features a sweetheart neckline and wide shoulder straps, a band that cinches the waist and a full skirt. 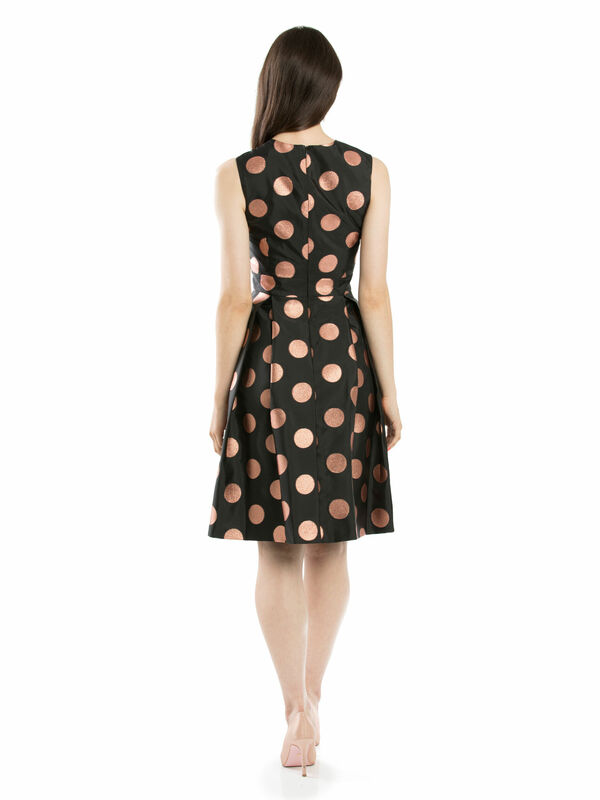 The dress is fully lined and fastens with an invisible back zipper.